Here’s Ian Chappel’s short video as he reaches the impressive overlook at KM78 on Route MA7. You look down from the top of Jebel Timouka over the Issil Plain following a couple of hours rough riding. Good work on a hefty GS12! MA6 proved even tougher on the BMW but can also surprise you with a similarly impressive vista at KM48 if you’re heading north. Ian’s other vids include pistes from the book and thankfully cut to the action. We’re back in this area over the next few days with a few small XRs plus a couple of 650 singles. They’ll be a report here or on the AMWebsite. And maybe some vids too. 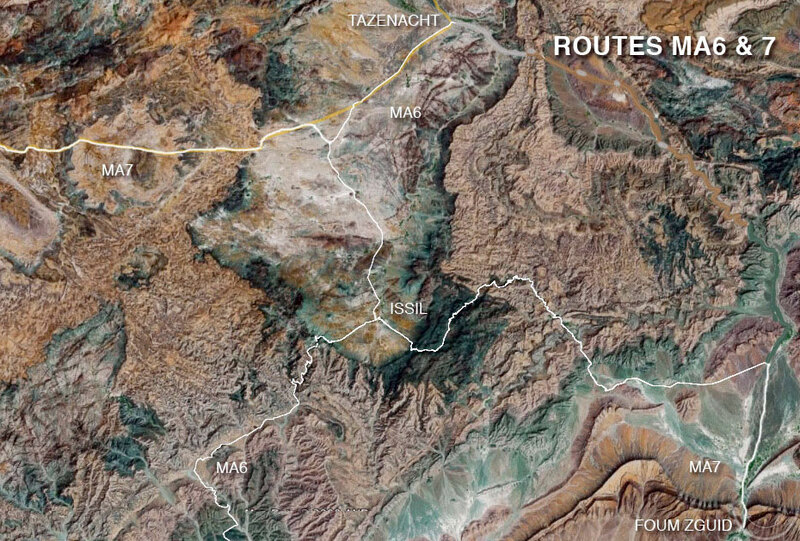 This entry was posted in Morocco Overland and tagged Anti Atlas, BMW GS1200, Issil Plain, jebel timouka, morocco overland, Route MA7 on November 10, 2013 by Chris S.